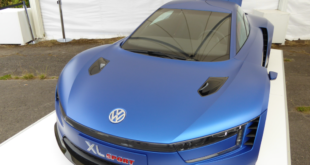 Wolfsburg, 03 May 2013 – With an exclusive special model, Volkswagen celebrates the fact that the Scirocco has broken through the magical sound barrier for a sports car of one million built vehicles in 2013. The Scirocco Million, painted exclusively in “Deep Black Metallic ” can be recognised at first glance by its sporty accent strip (in the middle of the body), the exterior rear mirror caps painted in “Galvanic Grey” and its “Interlagos” 18-inch alloy wheels with 235/40 tyres that are also standard (China: “Spa” 17-inch wheels). The alloy wheels are delivered in combination with a tyre pressure control display. 19-inch alloy wheels of the “Lugano” type that are painted silver are also optionally available. The other standard exterior customisation features include R-Line bumpers, R-Line side sills, smoked tail lights, “Million” stickers on the wings and rear windows that are 90% smoked (China: 65 per cent). In the interior, the special model features, among other things, a standard leather seating (type “Vienna” in black) with contrasting seams in “Snap Orange.” In sync with that: the black roof liner and the leather cover of the parking brake lever and gear lever gaiter (also with seams in “Snap Orange”). Floor mats with colour-contrasting chain-stitch seams, stainless steel pedals, entry plates with “Million” lettering and the accent strips made of brushed aluminium are likewise standard on board. The RCD 310 audio system provides the right sound and up-to-date information. The Scirocco Million can be ordered with three different petrol engines (TSI) and two diesel engines (TDI). The TSI have output ratings of 90 kW / 122 PS, 118 kW / 160 PS and 155 kW / 210 PS; the TDIs develop 103 kW / 140 PS and 130 kW / 177 PS. With the exception of the 122 PS TSI, all engines can be combined with a dual clutch gearbox (DSG). The base price of the Scirocco Million will be 27,325 euros in Germany. Like the Golf GTI, the Scirocco is a sporty icon. The first generation of the Coupé was launched in 1974. Seven years later, in 1981, the second generation of the Scirocco took off. It was built up to 1992. A total of 795,650 vehicles of the Scirocco I and II were built – a truly sporty world success. The comeback of the sports car came with the Scirocco III in 2008. 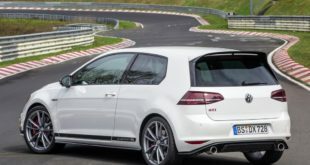 The third generation is developing into a success model, too: Inside of just under five years, more than 204,350 fans the world over have opted for a new Scirocco – if we add generations I, II and III, we arrive at the one million vehicle mark we just mentioned. Volkswagen is celebrating this with a special edition: the Scirocco Million. The special model is on offer exclusively in Germany and China. The production of the special series will be started as early as the end of May.